More World Cup … Cocktails! Why did I only learn about this drink the night after the World Cup ended?? I wanted to enjoy the World Cup, I want to like soccer, I want to call it futbol like cool people, I even want to travel to Uruguay and paint my face. 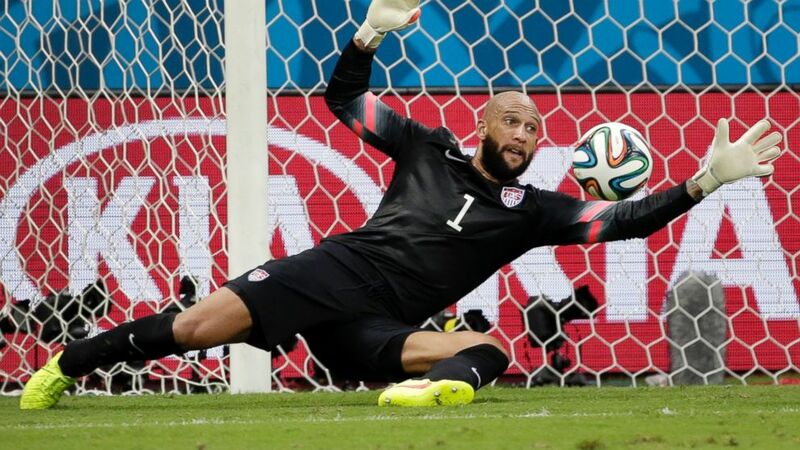 But let’s face it — I’m a red, white + blue baseball girl to the core, so while I cheered on American Tim “The Human Wall” Howard and marveled at the acting chops of the Dutchmen, I have to admit that I was a little ….. bored. I promise you I’m no Ann “soccer is foreign” Coulter, and I think it’s a terrific sport, the world’s sport. I just don’t understand it. What I do understand, however, is a good summer cocktail, so when I went out on Sunday after Germany beat Argentina in the Final, I was overjoyed to discover that there’s a companion drink to the Caipirinha, the long-popular Brazilian drink. It’s called the Caipiroska, equally popular throughout South America and equally delicious. There’s lots of lime and lots of sugar, yet instead of the Brazilian cachaça liquor, the Caipiroska is made with vodka. Oh snap, I thought, I’m making these tomorrow! 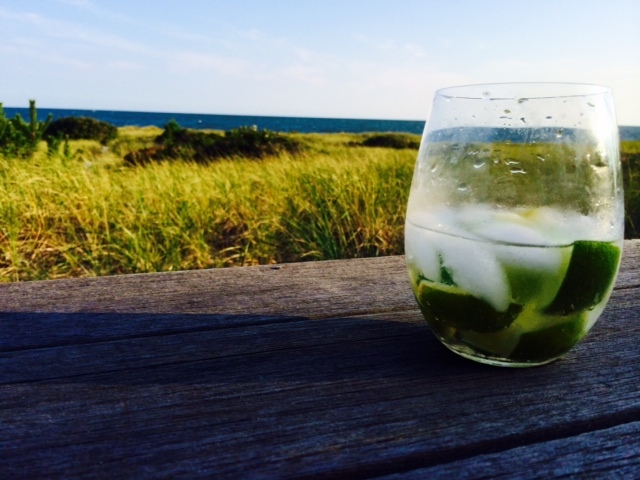 NYTimes food writer David Tanis says that “Caipiroskas are best served with a beach in view, on the beach itself, or with a beach in mind.” Anyone know of a good beach in Uruguay? Put the limes and sugar in a cocktail shaker or sturdy glass. Mash vigorously with a wooden muddler or pestle. Add the vodka and a few ice cubes, shake well, and pour into a rocks glass. 24 dollars for a small plate of spaghetti? That’s what I said to a friend when she told me about Scott Conant’s signature pasta dish at Scarpetta, his fantastic restaurant in the Meatpacking District in NYC (with other locations in Miami, Beverly Hills, Las Vegas, and Toronto). But trust me, it’s not your average plate of spaghetti, no sir. 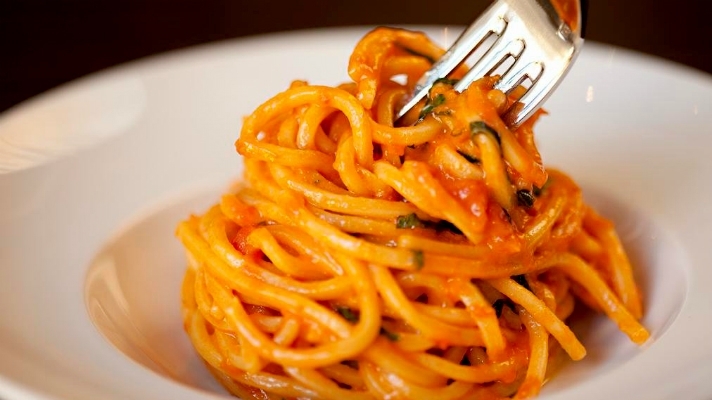 It’s his simple Spaghetti with Tomato and Basil, and it is simply divine. His secrets? A pat of butter at the end (isn’t it always butter? ), peeling tons of plum tomatoes and breaking them down with a potato masher (his grandmother’s trick), and infusing his oil with garlic, red pepper and basil, rather than adding them directly to the sauce. That last bit, which he saves for last, is what defines this dish the most. As he put it: “The last thing you add will be the first thing you taste,” and that’s so true. Out of my three “Best Tomato Sauce Ever” recipes, this one is probably my favorite, but I tend to make it the least because it’s pretty labor intensive. (Ok, and also because I live near the Meatpacking District and tend to pop in to the bar at Scarpetta and eat it faster than you can say “Pass the Ragu” ….. ) You can cut out some of the prep time by using good canned tomatoes (ie. San Marzano) instead of peeling tons of plums, but regardless, it’s so worth the effort. This simplest-sounding, traditional of dishes packs a mean punch of sophistication and flavor, equaling more than money can buy. Place a pot of water on the stove and bring to a boil. Prepare an ice bath by placing ice in a bowl and filling with cold water. Core tomatoes with a paring knife, and discard cores. Score the bottom of each tomato with an “X.” When water has come to a boil, place tomatoes in water and leave for 15 seconds, until skin begins to split away. Transfer to ice bath. When cool, peel with paring knife. Cut tomatoes in half lengthwise. Remove seeds with your thumb, and set seeded tomatoes aside. Reserve seeds and excess juices. If using canned tomatoes, seed in the same way. In a new pot, place 3 tablespoons of extra virgin olive oil over medium heat. When the oil is hot, carefully transfer tomatoes to the pot. Add a pinch of salt and chili flakes. Allow the tomatoes to cook for a few minutes until they begin to soften, then smash them with a potato masher. If the consistency is particularly thick, strain excess tomato juices for seeds and add to pot. Cook tomatoes 30 to 45 minutes over medium heat, smashing and stirring occasionally. 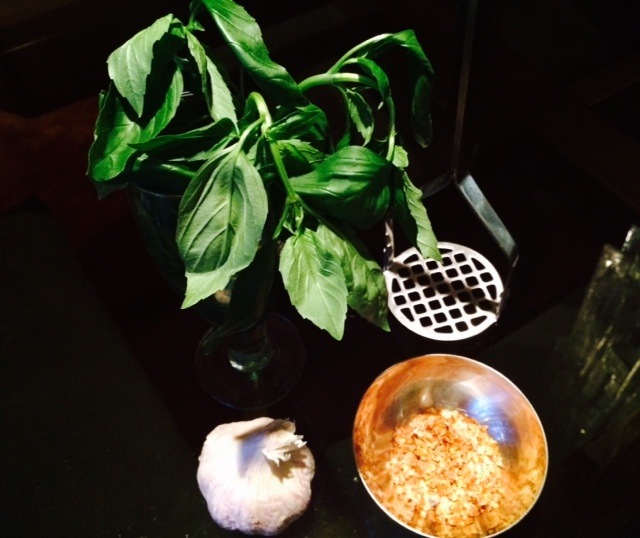 While the tomatoes are cooking, prepare the basil-garlic oil. Take a small saucepan and place the remaining 1/2 cup of extra virgin olive oil in the pan. Add garlic cloves, basil, and chili flakes. Slowly heat to allow the flavors to transfer to the oil. When the garlic is lightly browned, remove from the heat and cool for 5 minutes. Strain the oil and combine with the tomato mixture. Remove the sauce from the heat and adjust the seasoning with additional salt, as needed. Meanwhile, bring a large pot of water to a boil. Heavily season with salt, until it tastes as salty as a broth would. Cook the spaghetti in the water and remove when it is just shy of al dente—depending on the pasta, 3 minutes for fresh, 10 minutes for dried. Roll basil leaves into a cylinder and thinly cut lengthwise into a chiffonade. Set aside. While the pasta is cooking, place the sauce into a sauté pan, heat slowly, and reduce slightly. Add the pasta to the sauté pan along with a bit of pasta water, to add starch and seasoning, and finish cooking, over medium high heat. The sauce should coat the pasta and look cohesive. When you shake the pan, the sauce and pasta should move together. Remove from the heat and add the basil, cheese, and butter, tossing gently to incorporate. Divid the pasta among individual, wide shallow bowls. Adjust the seasoning, drizzle with oil if desired, and serve immediately.